Germany's Edge Of Thorn is another band that's been off the radar for a number of years. Formed nearly 20 years ago, they cut two albums in 2004 and 2007. Suffering through personnel changes, something not uncommon to the business, the band held together and continued to perform. Finally, they return with their third album, Insomnia. Edge Of Thorns: way too happy. And if you have that sleeping disorder, this album will likely keep you awake even longer with it's blistering heavy/power metal. 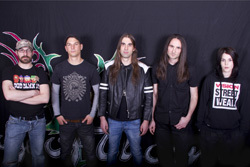 From the raw, raspy, vocals of Dirk "Duke" Schmitt to the gritty riffs and the sharp leads of Dave Brixius, Edge Of Thorns makes edgy 'keep it true' metal. At times they remind me of a cross between Rage and Primal Fear. Most of the material here has the briskness of power metal including Walking Like A Ghost, Of Hearts That Burn, Dark Side of Your Life. Sometimes you think EoT is moderating the pace and heaviness as with Yearning Has Begun or Metal Unity, which features Primal Fear's Ralf Scheepers, but you find yourself deceived. The thunder and lightning quickly sneaks up on you. Some songs let you know that Brixius's guitar is in control with the crazy blistering starts of Death Dealer and Of Hearts That Burn. Edge Of Thorns does throw a few curves. 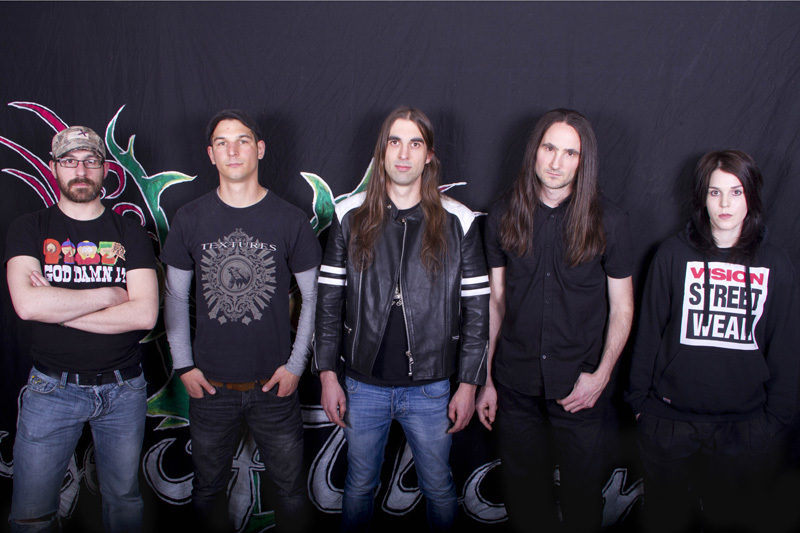 The Watchmaker, while no less heavy, develops more like a metal anthem, with Brixius's riffs and leads once more guiding the ship. Is This The Way It Ends is neither fast nor heavy, but a metal ballad driven more by vocals than anything else, and proving that Schmitt need not always be a metal screamer. Admittedly, with the first spin I found his vocals a bit grating and raging, and so my least favorite element of the music. But after awhile, you get used to them. Whether that means acceptance or ambivalence, others can decide. Yet, for hefty guitar driven (melodic) heavy/power metal Edge Of Thorns and Insomnia is the real deal. 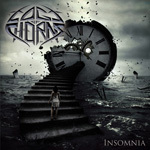 For hefty guitar driven heavy/power metal Edge Of Thorns and Insomnia is the real deal.